The UK government introduced a tax on sugary soft drinks earlier this month, a move that has been welcomed by the British Dental Association (BDA). As of 5 April 2018, soft drinks manufacturers have to pay 18p per litre for every soft drink that contains more than 5g of sugar per 100ml, and 24p per litre for every soft drink that has more than 8g sugar per 100ml. 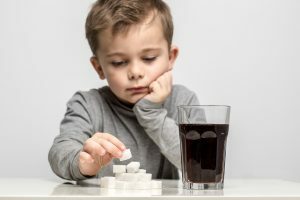 The BDA noted that it has been campaigning for the introduction of this levy, alongside other organisations, because of the “devastating impact sugary drinks have on teeth and general health”. However, the organisation added that the sugar tax is just one of many measures that are required to limit our sugar consumption. They also want to see tighter controls on advertising (particularly that aimed at children) when it comes to sugar-filled drinks and food, as well as the introduction of restrictions on money-off promotions and sponsorship. They also want to see the tax extended to cover sugary foods as well as soft drinks. According to the BDA’s research, one in eight children say that they consume sugary drinks at least four times a day. The Guardian recently highlighted a study by three economists from the Institute of Fiscal Studies. They suggested that the soft drink tax may see young people change their habits, but don’t believe it will have a big impact on people with a high-sugar diet. Their study indicates that the amount of sugar that young people buy via soft drinks is likely to be cut by about 80 per cent more than the average consumer. If you’re looking for a new dental burs supplier in the UK, contact us today to find out more about our products and services.